Let me preface this by saying: this wasn’t fair to Chess. 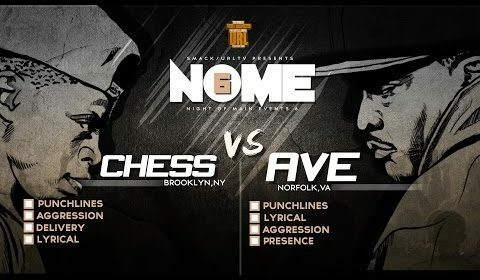 Ave had leftover bars for Magic he could build off of and Chess took this battle on two weeks notice. My opinion: bodybag. Ave 3-0, no debating to me, even if Chess would’ve had time to write for Ave, he probably still would’ve lost (although i don’t think it’d be a body). This is legitimately one of the greatest performances in battle rap history. Ave moved straight into top-tier with this one, good lord. Nah. I finished it. Chess had some fire but he got thoroughly outbarred in every round. Like I said, just my opinion but this is the best performance by any battler this year. You know when people say “so & so left earth in the 1st/2nd/3rd round”,? Well, that was Ave in every round. Clear win for Ave, and imo, a bodybag. Chess just didn’t have enough to compete.